From fashion models to business analysts, US Olympians are more than just athletes. Not every Olympian is lucky enough to be a household name with million-dollar endorsement deals like Michael Phelps or play a sport where they can earn a lucrative salary as a professional athlete like members of the US Men’s Basketball Team. For every Carmelo Anthony, there are dozens of folks like Jared Ward or Ibtihaj Muhammad who have to work for a living while also preparing to compete against the best athletes in the world. With the 2016 Olympics in full swing, here’s a look at some athletes you may not have heard of (yet) and their day jobs. Miles Chamley-Watson – Fencing, Fashion Model: Chamley-Watson is originally from London. When not in training or at a match, Chamley-Watson models for Ralph Lauren and routinely graces the pages of magazines such as GQ. He has been ranked as high as #2 in the world (2012), won two Pan American Games team gold medals (2011, 2015), an individual world title (2013), and a team silver medal in the World Championships (2013). 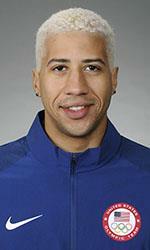 Chamley-Watson is the first and only American to win a senior men’s foil world championship. 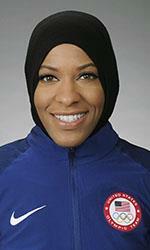 Ibtihaj Muhammad – Fencing, Fashion Designer: Muhammad is famous not only for her prowess with a saber but also for being the first US athlete to compete at an Olympics in a hijab. In 2014 she launched her own clothing company called Louella by Ibtihaj Muhammad, which she manages with the help of her four siblings. She also works with the Peter Westbrook Foundation, mentoring inner-city children and teaching them fencing. Muhammad has won two Pan American Games team gold medals (2011, 2015) and a team gold medal in the World Championships (2014) as well as four team bronze medals (2011, 2012, 2013, 2015). Chris Wyles – Rugby, Craft Brewer: Wyles is a fullback for the US rugby team and co-founder of Wildman Craft Lager Co. with South African rugby player Alistair Hargreaves. 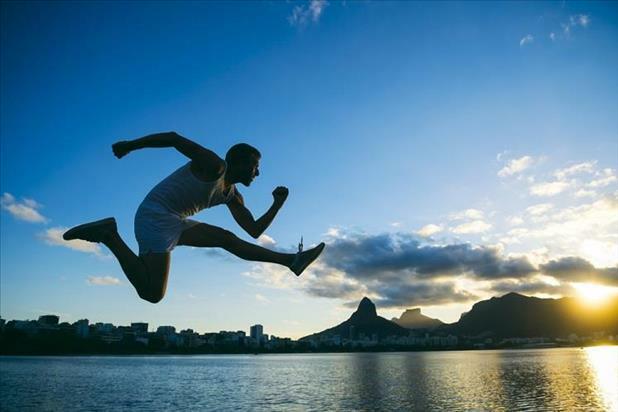 Rugby sevens is making its debut at the 2016 Olympics in Rio, although rugby union (the traditional version with 15 members per team) was last played at the 1924 games. Incidentally, the US won the gold that year, making them defending champions at the games in Brazil. 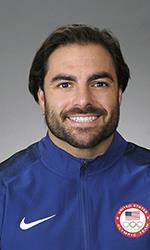 Nate Ebner – Rugby, NFL Player: Another rugger, Ebner plays a pretty similar sport professionally: football. As a member of the New England Patriots, where he plays safety and special teams, Ebner won the 2014 Super Bowl. At 17 years old, Ebner was the youngest player ever to make the US Men’s Rugby Sevens Team. Michelle Carter – Shot Put, Makeup Artist: Carter will be participating in her third consecutive Olympics as a member of the US Track and Field team. She placed 5th at the London games in 2012 and 15th in Beijing in the 2008 Olympics. However, Carter won gold at the 2016 World Championships. 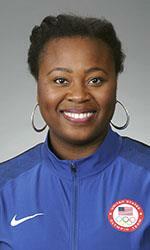 She is also a seven-time US shot put champion. When she isn’t training or competing, Carter runs Shot Diva Makeup. She is also the founder of “You Throw Girl Sports Confidence Camp,” which is a sports camp that focuses on confidence building and athletic empowerment. Ashley Nee – Canoe Slalom, Kayak Instructor: Nee has been on the US National Team for the past three years and was previously a member of the junior national team. The 2010 US national champion, Nee won a bronze medal at the 2015 Pan American Games and finished first in the canoe/kayak team trials for the 2016 Olympics. She works as a kayak instructor for Liquid Adventures and formerly served as an EMT for Montgomery County, MD. Nico Hernandez – Boxing, Lube Tech: Hernandez is making his Olympics debut in Rio, but he’s been competing at a high level for a number of years. A light flyweight boxer, Hernandez was the 2011­–2012 Junior Olympic National Champion, 2014 Youth Open Champion, 2015 Continental Championships bronze medalist, and Americas Olympic qualifier silver medalist. He works alongside his father as a lube tech for a Wichita area trucking company. Jared Ward – Marathon, Statistics Professor: Because he teaches advanced statistics courses at Brigham Young University, Ward is a unique runner who can do complex calculations in his head as he runs to optimize his in-race strategy and adjust his pace throughout a marathon (pacing strategy was also the focus of his master’s thesis). Prior to qualifying for the 2016 Olympics, he was a four-time All-American as a student athlete at BYU and finished first in the 2015 US Marathon Championships and 2015 USA Track and Field 20 km and 25 km Championships. 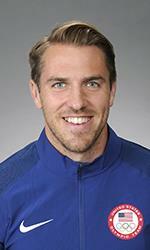 Steve Kasprzyk – Rowing, Chemical Engineer: As a member of the US Rowing Team, Kasprzyk competes in the men’s eight event and is a two-time Olympian (2016 Rio, 2012 London). He contributed to the gold medal winning team at the 2011 Pan American Games and won a bronze medal in men’s eight at the 2013 World Championships. A trained chemical engineer, Kasprzyk has worked in renewable fuel production, helping to make biodiesel from animal/vegetable fats and oils combined with alcohol. Maya DiRado – Swimming, Business Analyst: DiRado will be participating in her first and only Olympics in Rio and while she’s listed as a business analyst, that’s technically not true because she actually hasn’t started her job yet. 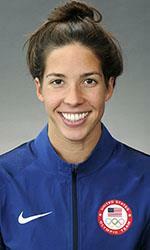 While finishing her senior year at Stanford University, DiRado was recruited to join management consulting firm McKinsey and Co. She was able to defer joining the company for two years to continue training for the Olympics and will start her new job in September shortly after the games conclude. This arrangement appears to have paid off as DiRado won silver and bronze medals in Rio for the 400m medley and 200m medley, respectively. Go for the gold! Let iHire help you find your dream job and advance your career!